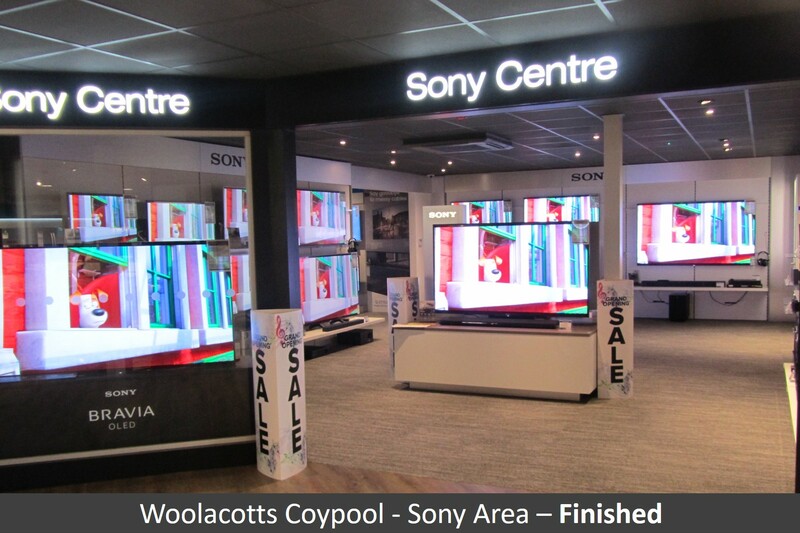 Returning client, Woolacotts asked our expert design department to create a new and improved flagship store. 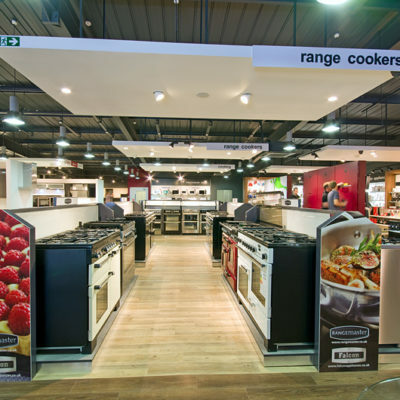 Located on a former B&Q site, we started by surveying the entire site and using our 3D CAD modelling software. 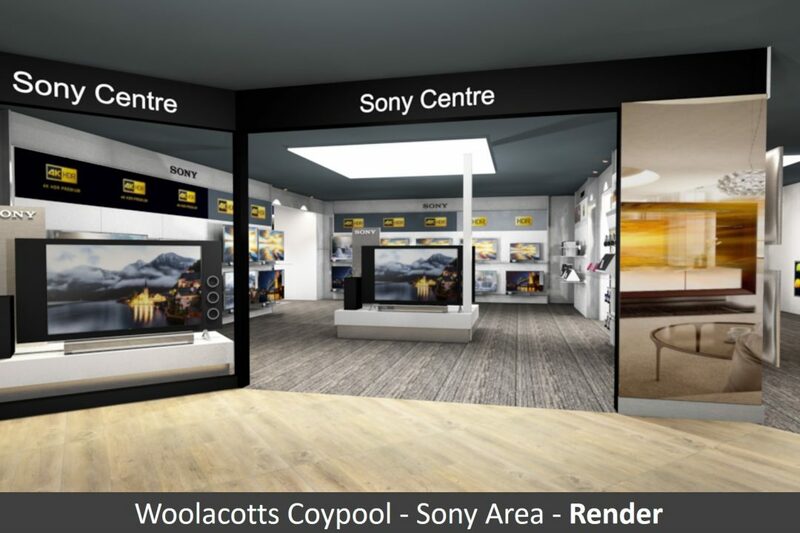 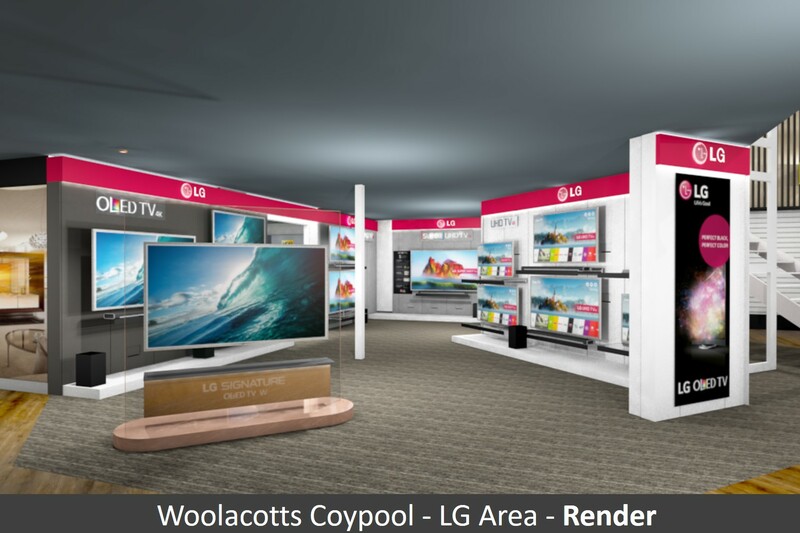 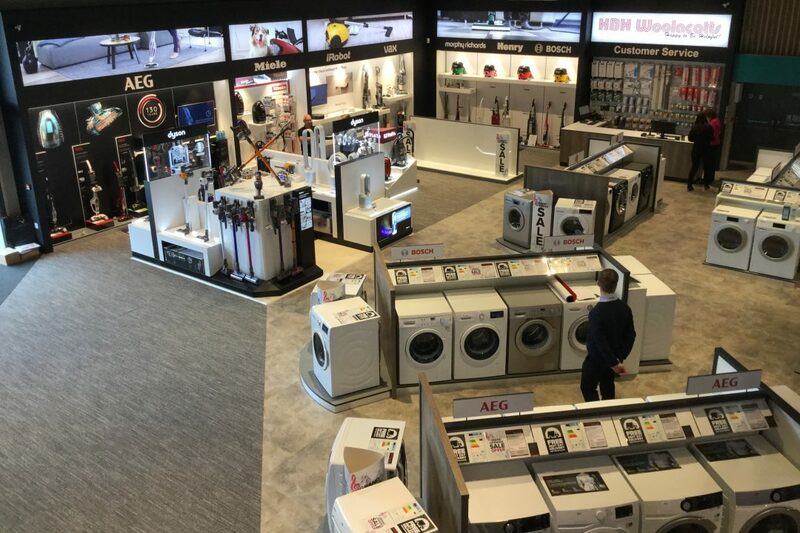 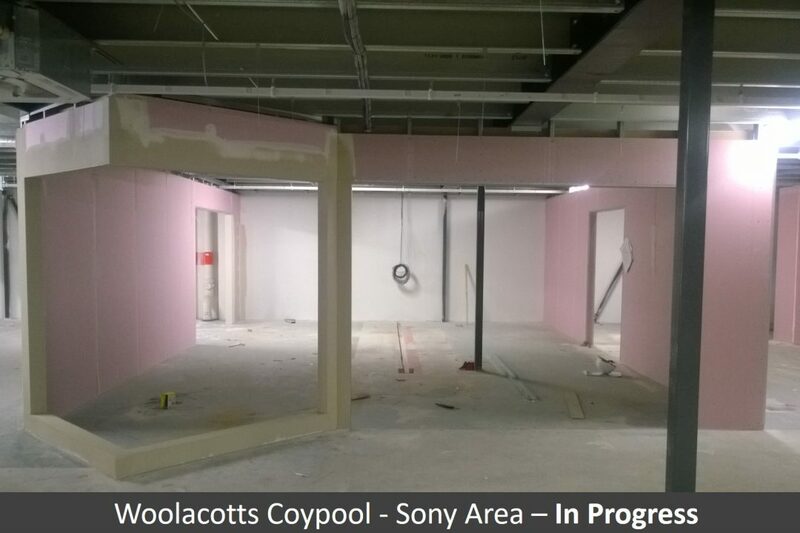 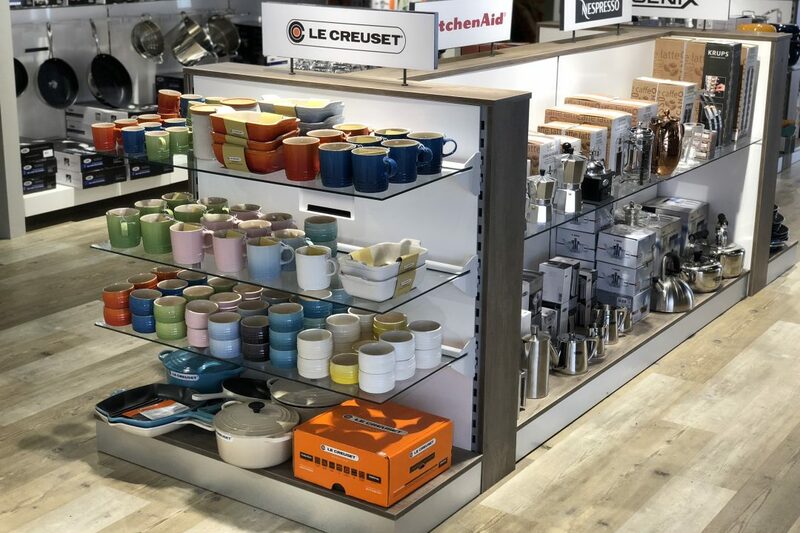 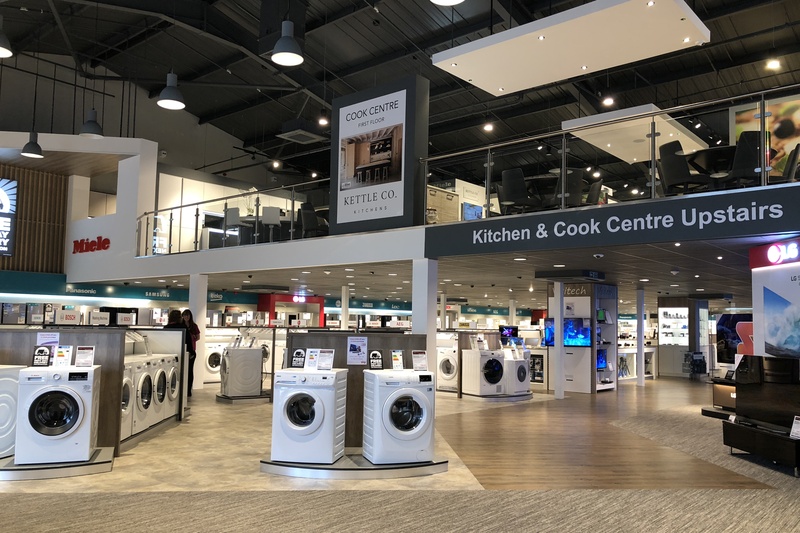 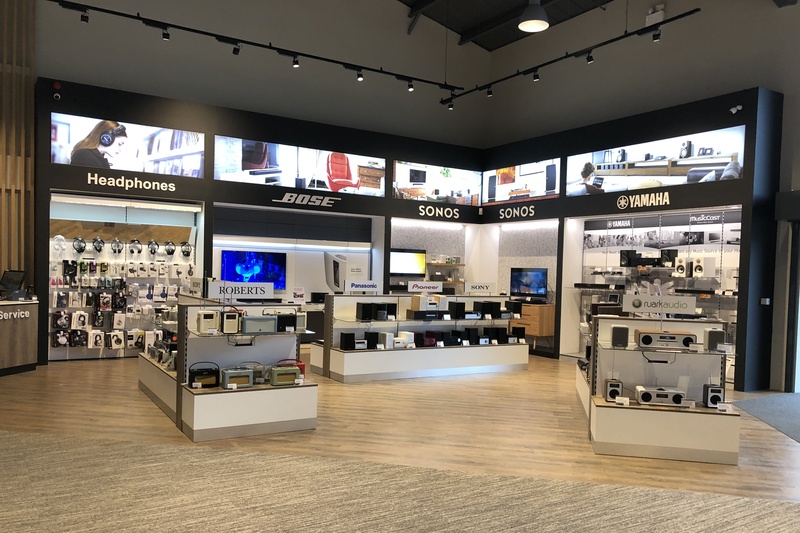 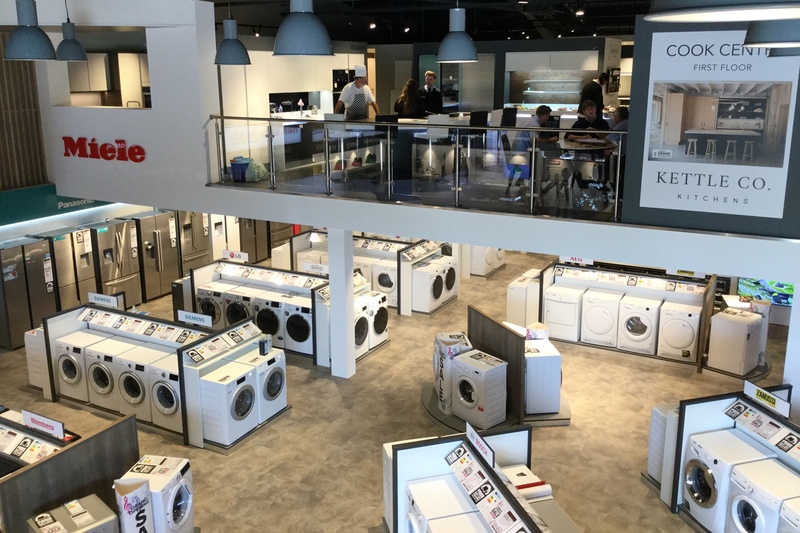 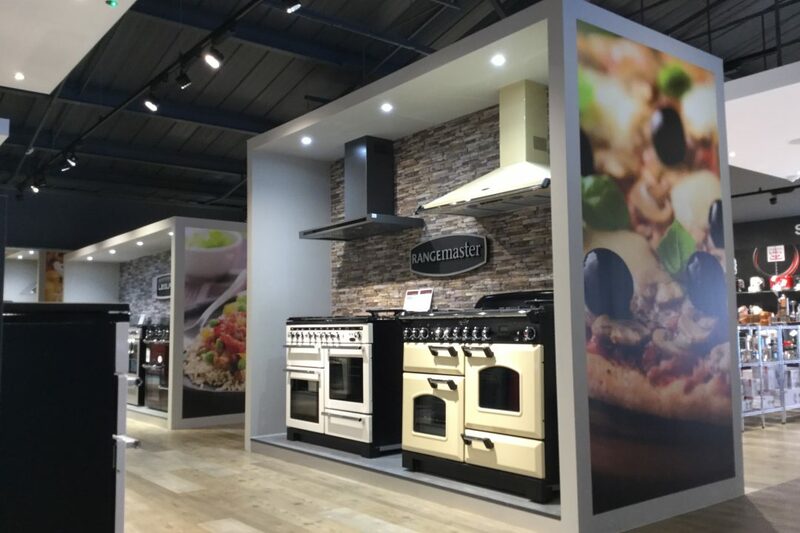 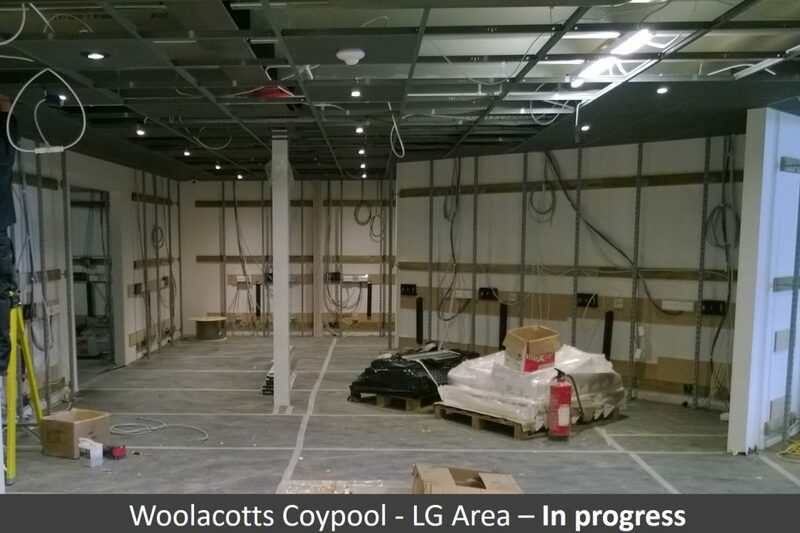 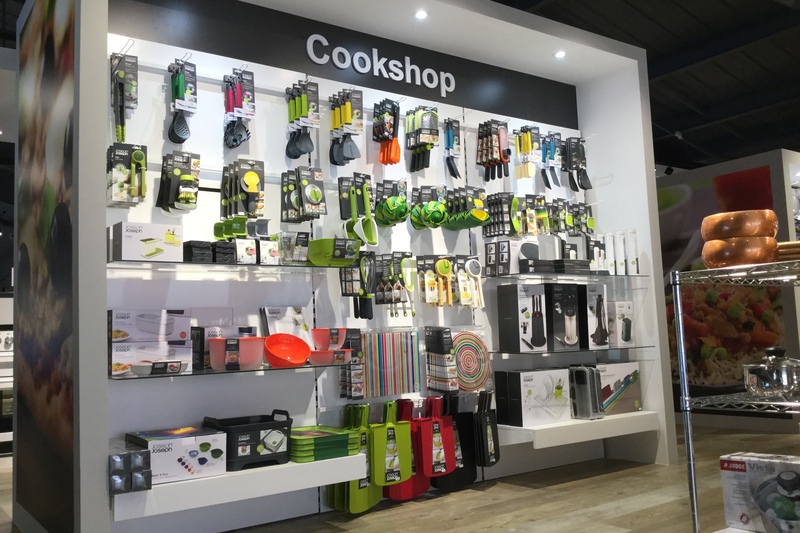 We designed the new store with the Woolacotts management and in collaboration with over 10 electrical brands, ensuring that new store reflected the core values of the brands, whilst still retaining a consistent look and feel that was familiar and welcoming to Woolacott’s customers. 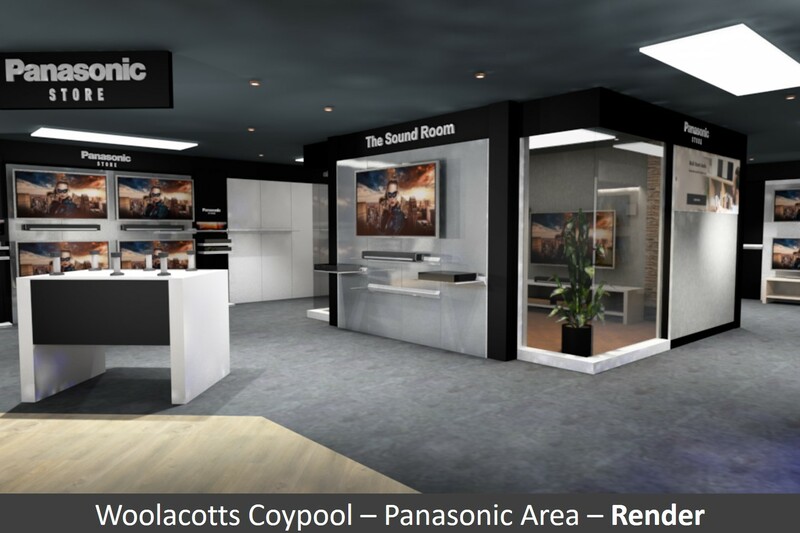 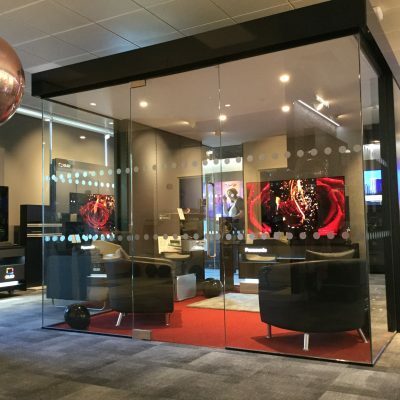 The final design included a state-of-the-art 1000sqft sound room, Dolby Atmos demo room, and dedicated brand zones from Panasonic, Dyson, LG, Smeg, Miele and Sony. 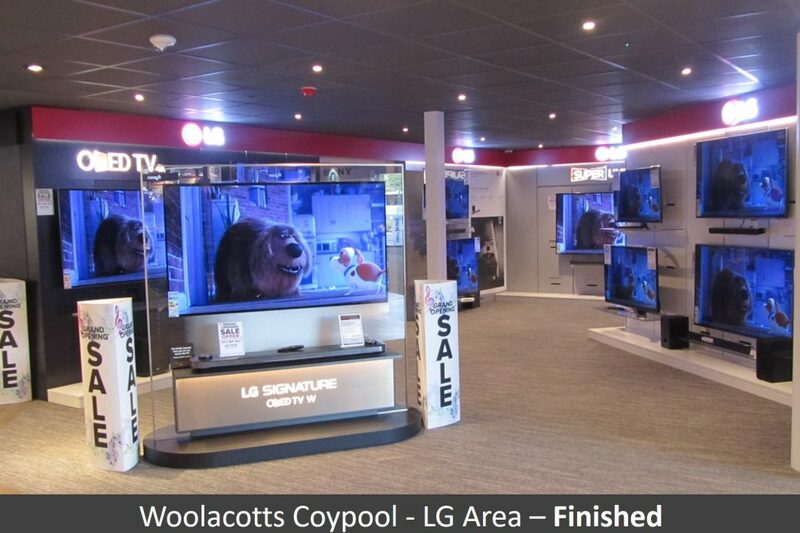 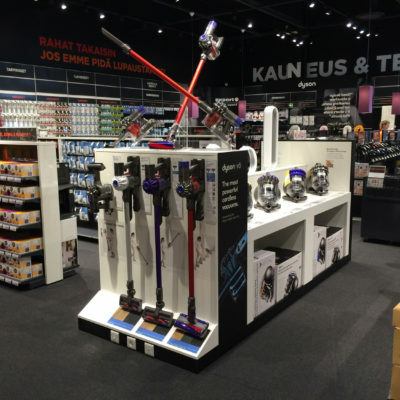 AM System then manufactured and installed all the retail display fixtures into the new Superstore. 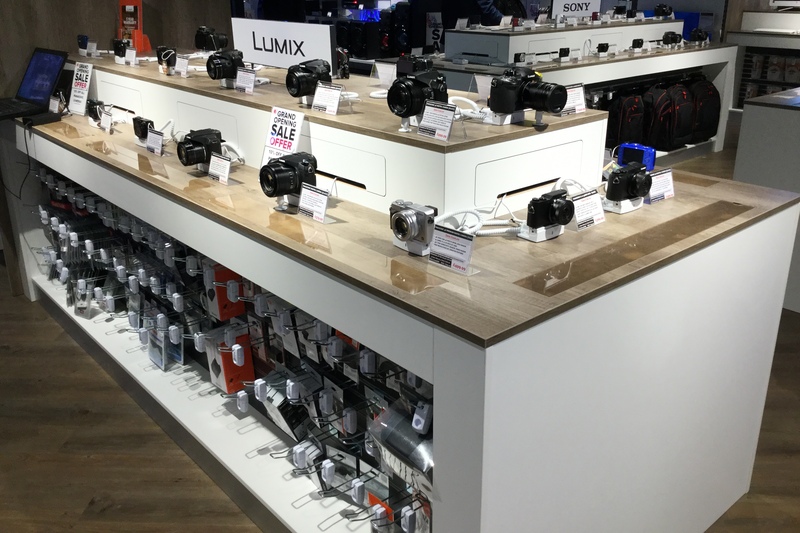 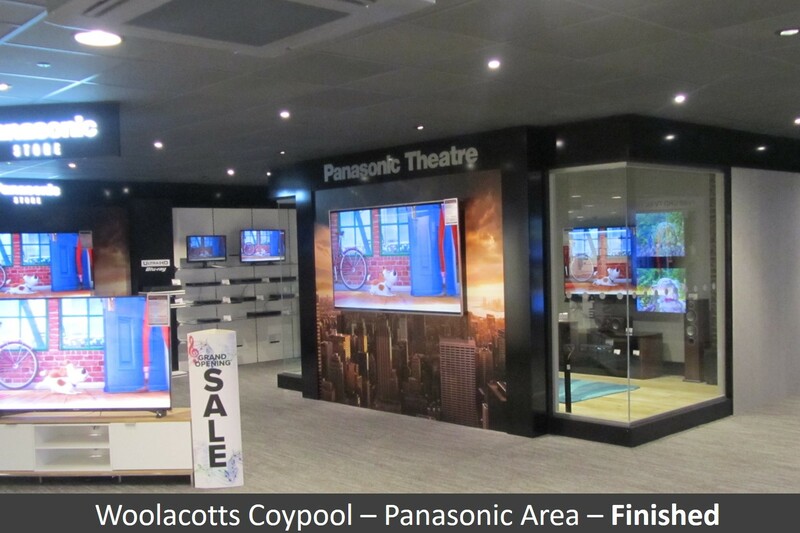 Using our modular shopfitting wall system featuring customised back panels to distinguish the brand areas for Panasonic, Sony and LG. 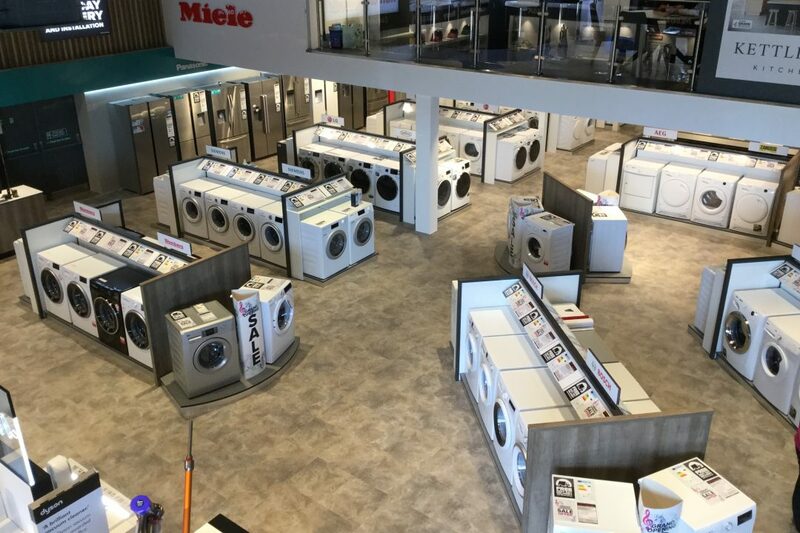 The mid floor gondolas showcased all the ‘white goods’ and unique play tables and till units finished the store off.